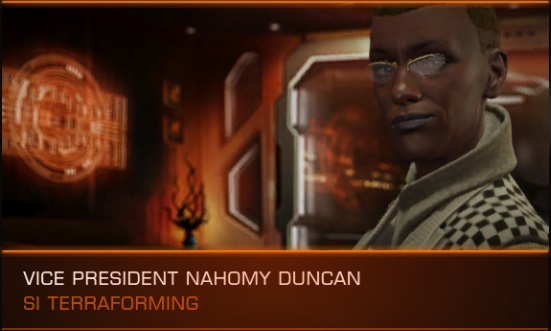 Meet Nahomy Duncan, the highest-ranked NPC at SI TERRA. Nahomy loves corporate synergy, hates communism, and is absolutely fabulous! Hmmm... it may be a result of government change (from democratic to corporate). Nahomy was generated when SI TERRA was democratic.